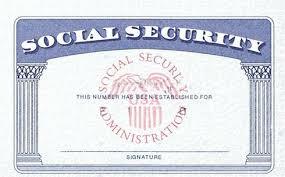 “CHANGES in SOCIAL SECURITY BENEFITS and PITFALLS IN FILING STRATEGIES”. This Lecture is about recent changes in Social Security retirement benefits and the potential pitfalls in filing strategies. The lecture is offered under the banner of “Money Matters”, a series of free financial education lectures offered to the general public by Eduard H van Raay, MBA, registered Financial Advisor. For most people, social security retirement income is the single most important source of income. The lecture covers the important aspect of planning for this income and the latest changes in the law. The Bipartisan Budget of Act of 2015 ended certain popular advanced claiming strategies for social security retirement benefits and highlighted the need to more carefully evaluate how and when to file. Equally important, the lecture will address the often negative financial consequences of filing early. Only this past July, the Consumer Financial Protection Bureau published some startling figures derived from the SSA’s 2013 data. It appears that 75% of claimants filed early (i.e. between 62 and 65), and that only 12% of Americans reported that they understood the relation between benefits and claiming age. These data only add to the notion that people are losing benefits because they are not fully informed about the recent social security benefit changes, nor fully understand the filing process itself and the factors that should impact their decision. Join us for a 2-part workshop conducted by Marion Weiss as she discusses how loved ones can cope with dementia. Does this sound familiar? You are a caregiver for a loved one with dementia. But you can’t seem to get through. How can you use words that your loved one will understand? How can you talk to the doctor who doesn’t respond with clarity and empathy? How can you convey difficult concerns/issues to family members? Role playing/discussions will help provide general answers; attention will be given to individual circumstances. Attendees should make an effort to attend both parts of the workshop.